Review of UNISDR Regional Wildland Fire Reports for the Thematic Report onForest Fires, FAO Forest Resources Assessment 2005 (FRA-2005); GFMC contributionto the FAO Voluntary Guidelines for Wildland Fire Management and the GlobalStrategy for Cooperation in Wildland Fire Management (J.G. Goldammer). GFMC. FAO-USFS-GFMCinternational telephone conference (J.G. Goldammer). On-site work in the Twinning Light Project Implementation of NewRegulation  Forest Focus  Forest Fire (HU2004 IB AG02-TL) (D.Nagy, A. Held and G. Ruecker); Budapest, Hungary. UNFF-ISDR-GFMC international telephone conference on UNFF-6 (J.G. Goldammer). GFMC staff C. Scholz leaving for field work in Costa Rica (until 8 March 2006). FAO-USFS-GFMC international telephone conference (J.G. Goldammer). On-site work in the Twinning Light Project Implementation of NewRegulation  Forest Focus  Forest Fire (HU2004 IB AG02-TL) (H.Abberger); Budapest, Hungary. Final meeting of the Twinning Light Project Implementation of New Regulation  Forest Focus  Forest Fire (HU2004 IB AG02-TL), with German FederalMinistry of Consumer protection, Food and Agriculture and Ministry ofAgriculture and Regional Development, Hungary, State Forest Service (J.G.Goldammer and D. Nagy); Budapest, Hungary. United Nations Forum on Forests, 6th Session (UNFF-6) (J.G.Goldammer); UN headquarters, New York, USA. Kick-off meeting EU FIRE PARADOX (J.G. Goldammer, D. Kraus); Lisboa, Portugal. FAO wildland fire expert meeting (J.G. Goldammer); FAO, Rome, Italy. 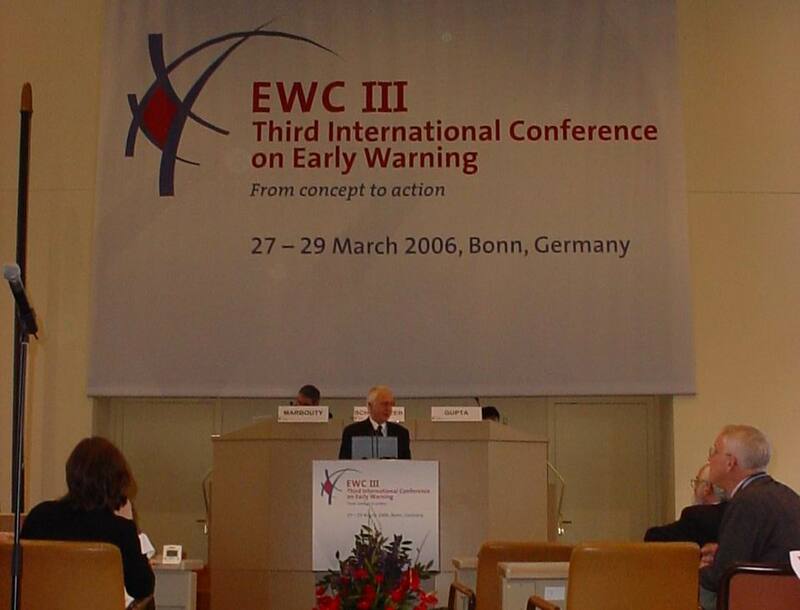 Third International Early Warning Conference (EWC-III), with side meeting and presentation of the concept of the Global Wildland Fire Early Warning System (J. G. Goldammer); Bonn, Germany. On-site work in the PHARE Institution Building Programme – Twinning Project Strengtheningof the Administrative Capacity of the State Forestry Administration of Bulgaria(BG/2004/IB/AG/04/UE) (Fire Management) (J.G.Goldammer); Sofia, Bulgaria. Preparation of prescribed burning experiment for maintaining habitats ofCapercaillie (Tetraourogallis) in the Black Forest (D. Kraus); Yach, Germany. Fourth International Symposium on Sustainable Management of Forest Resources (SIMFOR2006  co-sponsored by GFMC) and First International Workshop on FireManagement (D.Kraus); Pinar del Río, Cuba. Posthumousaward of PhD to Marco Hille, former GFMC scientist and PhD student at WageningenUniversity, co-promoted by J.G. Goldammer. Marco Hille died in an accidenton 4 December 2004. Diploma ceremony in the Office of the Rector Magnificus ofWageningen University; Wageningen, The Netherlands. Meeting with the German Weather Service (Deutscher Wetterdienst  DWD) / WorldMeteorological Organization (WMO) concerning wildland fire smoke dispersionmodelling; GFMC. Meeting of the Phoenix Consortium; GFMC. Meeting of the International Liaison Committee of the series of InternationalWildland Fire Conferences, in preparation of the 4th InternationalWildland Fire Conference (to be hosted by the Government of Spain, Madrid, 6-10May 2007) (J.G. Goldammer); Madrid, Spain. FAO International Expert Consultation on Wildland Fire (J.G. Goldammer and C.Scholz); Madrid, Spain. Conference on Promoting Partnerships for the Implementation of the ASEANAgreement on Transboundary Haze Pollution  a call for partnerships for theimplementation of the Agreement (D. Kraus); HaNoi, Viet Nam. Meeting and field visit with County Administrative Board of Västernorrland, NatureConservation Office,concerning prescribedburning candidate sites for the European Fire in Nature Conservation Network andFIRE PARADOX (J.G. Goldammer); Sundsvall,Sweden. On-site inspection of prescribed burning sites in Jämtgaveln and Stormyran-Lommyran, near Sundsvall, Sweden, with Anna-Maria Eriksson (Department of Natural Sciences, Mid Sweden University), Tomas Rydkvist (County Administrative Board of Västernorrland, Nature Conservation Office), and Bengt Gunnar Jonsson (Department of Natural Sciences, Mid Sweden University). Meeting of the Regional Southeast Europe Wildland Fire Network in tandem withthe 33rd Session of the FAO European Forestry Commission (J.G.Goldammer); Zvolen, Slovakia. Meeting with Fire WatchInternational AG, Luzern, Switzerland; GFMC. Meeting with the Executive Secretary EuropeanCouncil, Euro-Mediterranean Major HazardsAgreement (EUR-OPA), Mr. Eladio Fernandez-Galiano, concerning cooperation withthe European Centre on Forest Fires; GFMC. On-site work in the PHARE Institution BuildingProgramme – Twinning Project Strengthening of the Administrative Capacity of the State ForestryAdministration of Bulgaria (BG/2004/IB/AG/04/UE) (Fire Management) (J.G. Goldammer); Sofia,Bulgaria. Meeting of the Committee of Permanent Correspondents of the European andMediterranean Major Hazards Agreement (EUR-OPA) (OpenPartial Agreement on the Prevention of, Protection Against, and Organisation ofRelief in Major Natural and Technological Disasters), Council of Europe (J.G. Goldammer); Paris, France. Prescribed burning operations for conservation of atlantic Calluna heathlands in NW Germany (C. Scholz, S. Eckert, D.Kraus, J.G. Goldammer); Lütjenholm, Schleswig-Holstein, Germany. On-site preparation of prescribed burning experiment for maintaining habitats of Capercaillie(Tetrao urogallis) in the Black Forest (J.G. Goldammer, D. Kraus); Yach, Germany. Meeting of the Executive Board, German National Committee for Disaster Reduction within the UN-ISDR (DeutschesKomitee für Katastrophenvorsorge – DKKV) (J.G. Goldammer); Bonn, Germany. 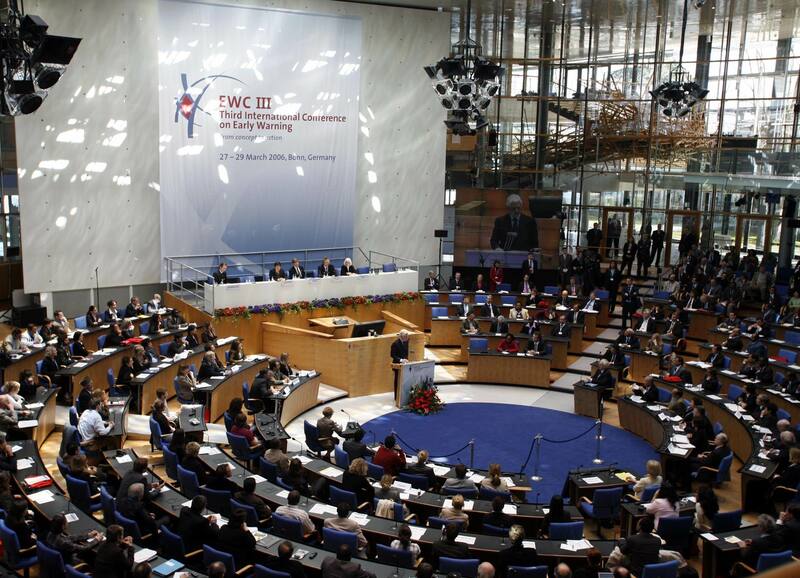 Inauguration of the UN Campus in Bonn under the patronage of the Chancellor Merkel, German Government, and UNSecretary General Kofi Anan (J.G. Goldammer); Bonn, Germany. Follow-up work with FAO Forest Department on the development of the Fire Management Code and the Strategyfor International Cooperation in Wildland Fire Management (J.G. Goldammer); FAORome, Italy. On-site preparation of prescribed burning experiment for FIRE PARADOX: reducingwildfire hazard (fuel accumulation) and enhancing natural regenerationmaintaining of pine forests in Baden Wuerttemberg State, Forest District Staufen(J.G. Goldammer, D. Kraus); Breisach Community Forest, Germany. Open, windblow-affected pine stand, candidate for prescribed burning for fire hazard reduction and promotion of natural regeneration of Scotch Pine (Pinus sylvestris), Breisach Community Forest, Forest District Staufen, Baden-Württemberg State, Germany. Consultation with German Railways and Ministry for Environment, Bavaria State,on the use of prescribed fire for reducing wildfire ignition risk along railwaytracks in Germany; Munich, Germany. Typical view of the Heidehof-Golmberg Nature Reserve with an explosive ordnance in the inserted photograph  one of the problems to be targeted by prescribed burning operations. 13th Conference of the International Boreal Forest Research Association (IBFRA)and field visits of prescribed burning experiments in Västernorrlandand adjoining regions (D. Kraus); Umeå, Sweden. Follow-up work with FAO Forest Department on the development of the FireManagement Code and the Strategy for International Cooperation in Wildland FireManagement (J.G. Goldammer); FAO Rome, Italy. On-site work in the PHARE Institution Building Programme – Twinning Project Strengthening of the Administrative Capacity of the State ForestryAdministration of Bulgaria (BG/2004/IB/AG/04/UE) (Fire Management) (J.G. Goldammer); Sofia, Bulgaria. Preparation of OSCE- ledEnvironmental Assessment Mission to Fire-Affected Areas in Nagorno-Karabakh, inFulfilment of the UNGA Resolution A/60/L.60/Rev.2 The Situation in theOccupied Territories of Azerbaijan : Revised Draft Resolution / Azerbaijan (6September 2006) (J.G. Goldammer); Organization for Security and Co-operation inEurope (OSCE), Vienna, Austria. 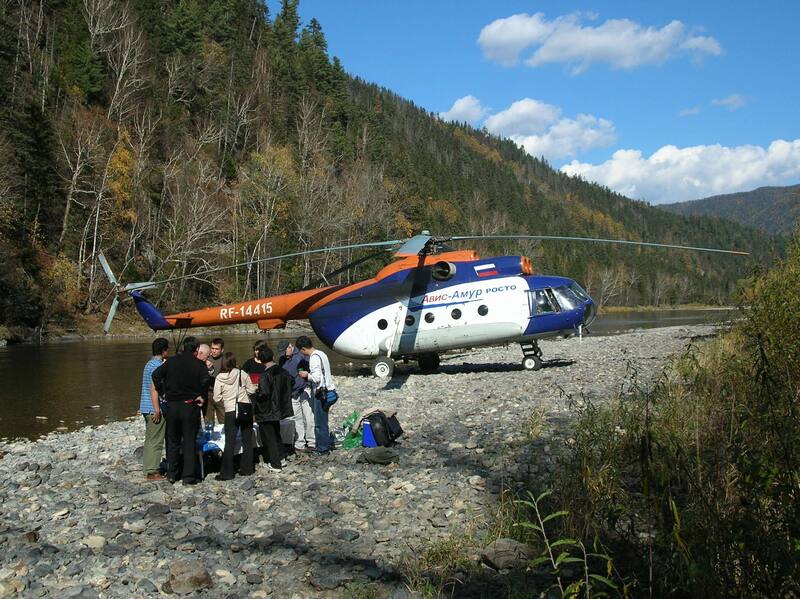 First International Northeast Asia Forest Fire Conference and ThirdInternational Meeting of the Regional Northeast Asia Wildland Fire Network (J.G.Goldammer); Khabarovsk, Russia. Upper row (from left to right): A.P.Sapozhnikov, J.G.Goldammer, V.V.Ostroshenko, A.M. Doroshenko, E.V.Brusova. Bottom row: (from left to right): Lkhamjav Tumurkhuu, Kim Dong Hyun, Lee Myung Bo, Cho Byung Cheol, N.V.Vyvodtsev, G.A. 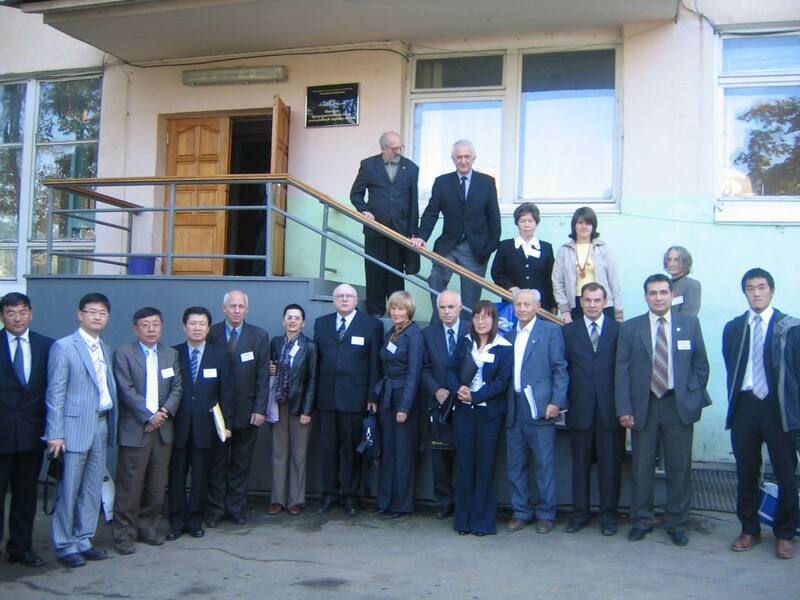 Missioura, L.G.Kondrashov, G.V.Sokolova, E.P.Davidenko, Bayartaa Nyamjav, M.A.Sheshukov, V.G.Kryukov, A.G.Grechko, K.Makoto. OSCE-led Environmental Assessment Mission to Fire-Affected Areas in Nagorno-Karabakh, in Fulfilment of the UNGA Resolution A/RES/60/285 The Situation in the Occupied Territories of Azerbaijan: Revised Draft Resolution /Azerbaijan (7 September 2006) (J.G. Goldammer, S. Teusan, N. Nikolov); Azerbaijan,Georgia, Nagorno-Karabakh, Armenia (Baku, Ganja region, Armenia border region,Tiblisi, Stepanakert / Khankendi region, Yerevan). GFMC Fire Assessment Mission to Fire-Affected Areas inNagorno-Karabakh and Azerbaijan led by OSCE. Fire Management workshop, PHARE Institution Building Programme – Twinning Project Strengthening of the Administrative Capacity of the State ForestryAdministration of Bulgaria (BG/2004/IB/AG/04/UE) (Fire Management) (J.G. Goldammer); Sofia-Borovetz, Bulgaria. PREVIEW Fire platform meeting and SAB meeting (D. Kraus); Météo-Franceheadquarters, Paris, France. United Nations University (UNU)/ GFMC Advanced Training Course for Fire Management in Sub-Saharan Savannah Ecosystems ,sponsored by the German Foreign Office, Office for the Coordination of Humanitarian Affairs, and conducted with the UNISDR Regional Subsahara WildlandFire Network (AfriFireNet) and Working on Fire (WoF) (D. Kraus, A. Held); Kruger National Park, South Africa. Mr. Sundar Sharma, Nepal, resuming work at GFMC to support the establishment of the UNISDR Regional South Asia Wildland Fire Network; GFMC. GOFC-GOLD Fire IT / GFMCtelephone conference; University of Maryland / GFMC. Maintenance work / treefelling in GFMC experimental site (D. Kraus, A. Held); GFMC. Kick-offmeeting of the European Wildland Fire Management Handbook, EU Leonardo da Vinciprogramme, a joint effort of GFMC and the Commission on Forest Fires,International Technical Committee for the Prevention and Extinction of Fire (CTIF),facilitated by Rural Development Initiatives (J.G. Goldammer, M. Jones, C.Glaister); London, UK. Meeting of the ExecutiveBoard, German National Committee for Disaster Reduction within the UN-ISDR(Deutsches Komitee für Katastrophenvorsorge – DKKV) (J.G. Goldammer); Bonn,Germany. Lectureson fire ecology in ecosystems of the tropics and subtropics, Faculty for Forestand Environmental Sciences, Freiburg University (J.G. Goldammer, D. Kraus);Freiburg, Germany. From left to right: German Railways Vegetation Management Team (Dr. G.
Hetzel, S. Schoenecker) with German Railways Managers (N. Wilk and J. Typical high-fire risk embankment along a railway track in Bavaria. management to halt train traffic (Photo: GFMC). First plenary meeting of the EU-sponsored LIFE Rohrhardsberg with acomponent on the use of prescribed fire in maintaining landscape and ecosystemstructures in the Black Forest including habitat management of capercaillie (Tetraourogallus) and black grouse (Tetrao tetrix) (J.G. Goldammer, D.Kraus, M. Spielmann); Simonswald, Germany. 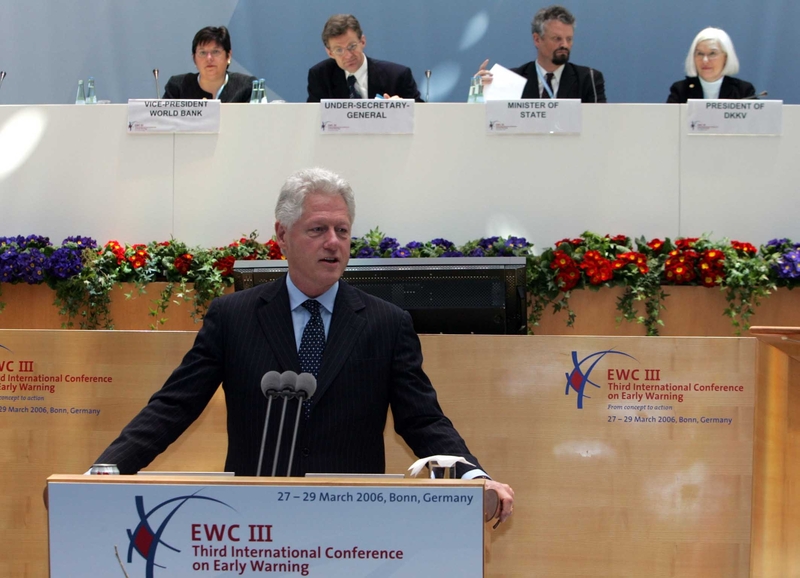 Meeting ofthe International Liaison Committee (ILC), 4th International WildlandFire Conference (13-17May 2007, Sevilla, Spain) (J.G. Goldammer); Coimbra, Portugal. Group ofEarth Observations Plenary (M. Brady); Bonn, Germany. 2nd PREVIEW Progress Meeting (D. Kraus); Toulouse, France. InternationalEarly Warning Programme (IEWP) Advisory Group Meeting, hosted by the UN/ISDRPlatform for the Promotion of Early Warning, topics among other: Development ofthe Global Wildland Fire Early Warning System (J.G. Goldammer, M. Brady); Bonn,Germany. GFMC facility undergoing major renovations (sponsored by Freiburg University). Visitors are welcome if assisting in managing themess. 2nd GOFC/GOLD Workshop on Geostationary Fire Monitoringand Applications (J.G. Goldammer); Darmstadt, Germany. 2nd FIRE PARADOX Plenary (J.G. Goldammer, D. Kraus); LasPalmas, Spain. 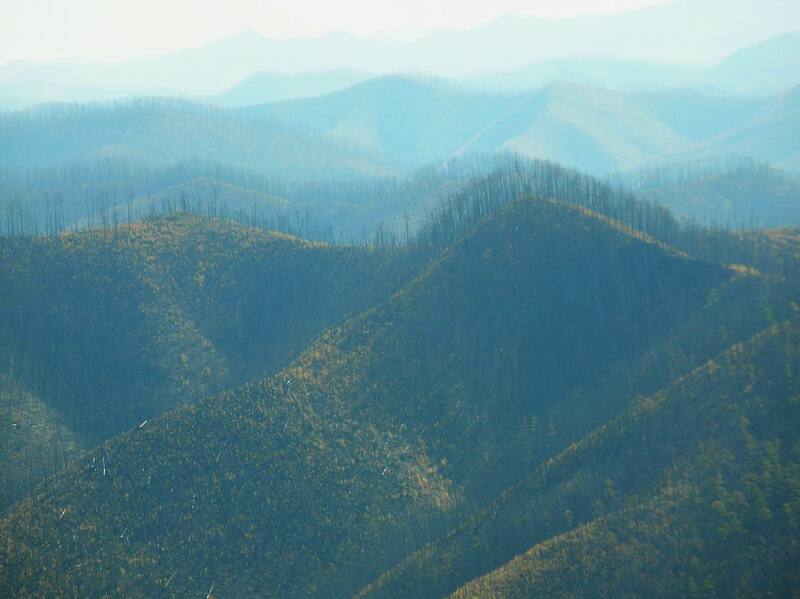 Lectures on Global Wildland Fire hazards, Master Programme “Forest Ecologyand Management”, Faculty for Forest and Environmental Sciences, FreiburgUniversity (J.G. Goldammer); Freiburg, Germany. 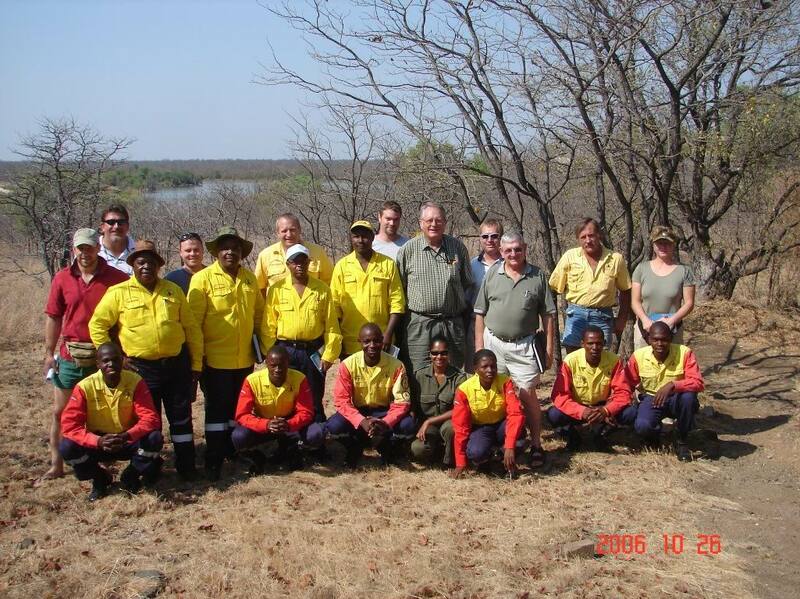 Work visit of the GEO Secretariat (Mr. G. Rum) in preparation of the GlobalWildland Fire Information System (J.G. Goldammer); GFMC. Planning meeting of the fire component in the EU-sponsored LIFERohrhardsberg project (use of prescribed fire in maintaining landscape andecosystem structures in the Black Forest including habitat management ofcapercaillie [Tetrao urogallus] and black grouse [Tetrao tetrix] (J.G.Goldammer); GFMC. Planning meeting with the German Agency for Technical Cooperation (DeutscheGesellschaft fuer Technische Zusammenarbeit, GTZ);GFMC. 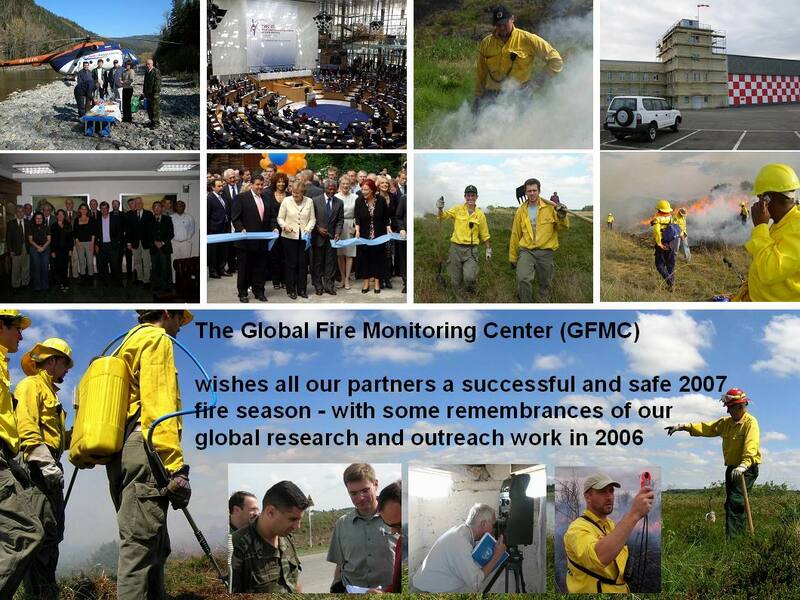 GFMC greetings for 2007: Happy new Year to all colleagues, cooperators andespecially the members of the Global Wildland Fire Network.